It is no secret that the success of the case in court depends on how legally competent participant of the case is its position. Therefore, people who do not want to take risks, have long understood that the assistance of counsel is not a waste of money and a lawyer you need to hire the first available, and guaranteed good. With what yardstick to approach the person you trust the fate of your business? You may be thinking to hire a renowned lawyer, ACE, promoted by the media. However, keep in mind: due to high demand to work with your business such a lawyer can stay very little time, even though the money you pay considerable. The famous lawyers tend to focus on large, significant cases which will support their fame, so if it you is not outstanding, it is likely that a lawyer will not go all out when working with it and legal services will have in passing. When choosing a lawyer it is not necessary to dwell on candidate, prompted by the investigator. 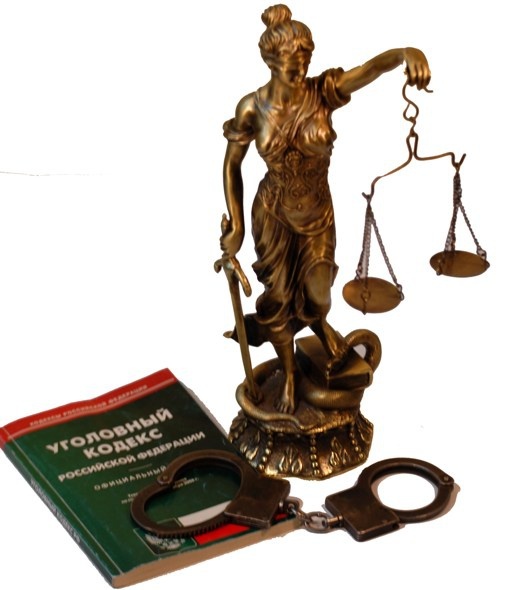 They recommend the lawyer consciously or subconsciously can be "mishandled Cossack" and something to neglect your interests in favor of the interests of the "authorities". But whose advice can be very useful, so it is the Council of court officials, if any of your friends. Judges and court secretaries see lawyers in the case, see their pros and cons, and the glory of a really good lawyerx reaches the ears of almost all court employees. In addition, you can find a good lawyer and on the recommendation of friends have already used his services. If you recommendations one can not give, go to the bar and steer already in place, paying attention to the following. Attorney is your representative, your face in court. Therefore it is not necessary to close eyes on the overall impression given by this person is pleasant or repulsive, whether he transmits confidence and professionalism. Also note, if it is expressed correctly. The professional skill of the lawyer , the eloquence, because of his work performance in the court, which should be concise, intelligible and convincing. If in conversation with you attorney is showing signs of tongues, it is likely that in court he will show the same thing, and it is almost incompetent. If possible, try to see any of the drafted by a lawyer of documents to get an idea about his literacy. How carefully listens to you the lawyer, as he delves into all the details, does something on the pencil, too much to say. When interviewing a client, the lawyer should be a picture of the case. If there were doubts about how you carefully listened to and understood, casually ask the lawyer some questions on the merits. In his answers you will understand how the lawyer understood the essence of your position and your interest. The lawyer should be prepared to explain obscure points, at least in General terms. Equally bad lawyers as otmachivanija your questions and meet you on the "bird language" - it is the professional language of lawyers, which a person without special education hard to understand. Often the juggling that you do not understand legal terms essentially hiding the lack of response to the question. Be sure to ask what field specializiruetsya lawyer. Better to give preference to narrow specialists who thoroughly know the law and jurisprudence on their profile that have a substantial Luggage won cases similar to your own. By the way, to ensure a successful lawyer, don't hesitate to ask him to familiarize himself with several archives with his participation in the same field as your business. Cheerleaders, if in the course of consultations on the case the lawyer will assure that the decision will be taken in your favor. Smart and decent lawyer ever the outcome of the case to ensure that it will not be because the case can always be unforeseen circumstances that change the balance of power. That is why the statement about profitability of business should be regarded as a sign of inexperience, inflated self-esteem, and sometimes of bad faith lawyer. In our modern society increasingly raises the question: where and how to find a good, experienced, professional lawyer? People not versed in the intricacies of the law, can not foresee even the most basic legal consequences of his deeds that would lead to a fiasco. So it is better not to overestimate their capabilities and to consult a lawyer, at least for advice. How to find a competent lawyer? What distinguishes the lawyer from the lawyer? Why do all lawyers have such different prices? Why do I need a lawyer? Don't know the answers to these questions? WARNING: do not be fooled, legal crooks (see below). People often say that to find a good lawyer is as important as a good doctor. In fact, if a doctor on your health, you from lawyer - protecting your rights and financial well-being.